Ray Hassard grew up on Long Island, in a suburb of New York City & studied at Pratt Institute. More important, though, in many ways, Ray’s was a childhood filled with frequent visits to the Metropolitan Museum, Saturday classes at the Museum of Modern Art, & exposure to all the art galleries the city had to offer. Ray developed a love for the long, wonderful history of art along with a sense of excitement about the contemporary art scene, & a desire to join in on it all. Ray left the New York area in 1977 when he moved to Buffalo NY. There, urban landscapes became his primary artistic theme. Buffalo has a wealth of 19th Century domestic & industrial architecture in varying states of maintenance, & Ray began his on-going fascination with that topic. Ray won several commissions, most notably one to create & install a large wall piece for the subway the city was building. After eight Buffalo winters, he relocated to Cincinnati, Ohio in 1985. He became co-owner, publisher, & art director of American Record Guide, a bi-monthly magazine reviewing classical music CDs. 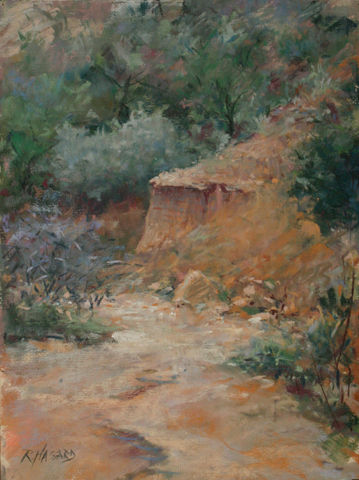 About 15 years ago, Ray discovered plein air painting. Though it was incredibly frustrating at the beginning, the joy of painting outside, alone & at events with other artists soon won him over. He soon joined the Indiana Plein Air Painters Association, & the newly formed Ohio Plein Air Society, serving two terms on the board of that group. 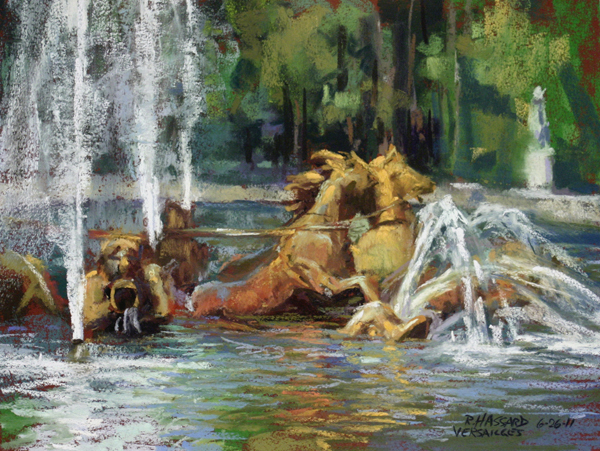 He is a frequent award winner in competitions & plein air events around the country, from Niagara Falls to Texas. 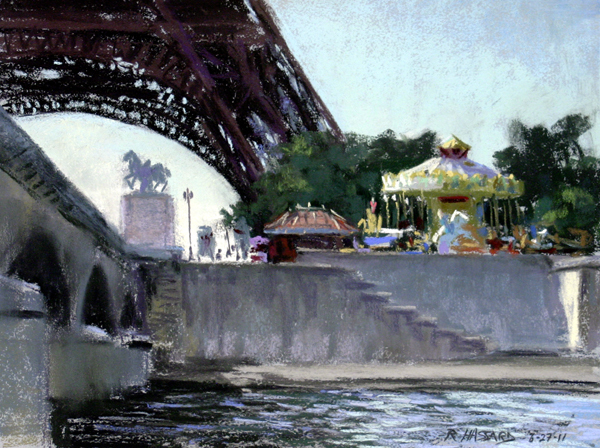 "Paris Morning" "Apollos Fountain Versailles"
Ray is a Signature member of the Cincinnati Art Club, & the Pastel Society of America. Midamerica Pastel Society has designated him Master Pastelist. 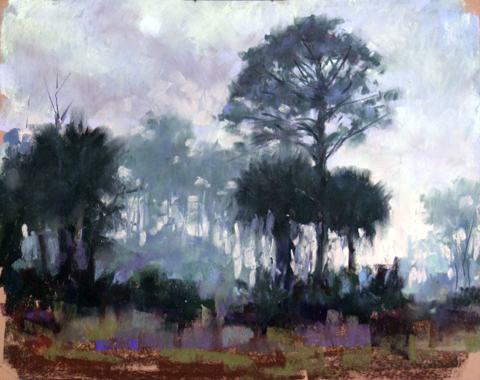 In 2014 he was named to the Master Circle by the International Association of Pastel Societies. He is also a member of the Oil Painters of America & the American Impressionist Society. Travel & painting are his two loves. Ray has visited over 75 countries over the years & painted in many of them. 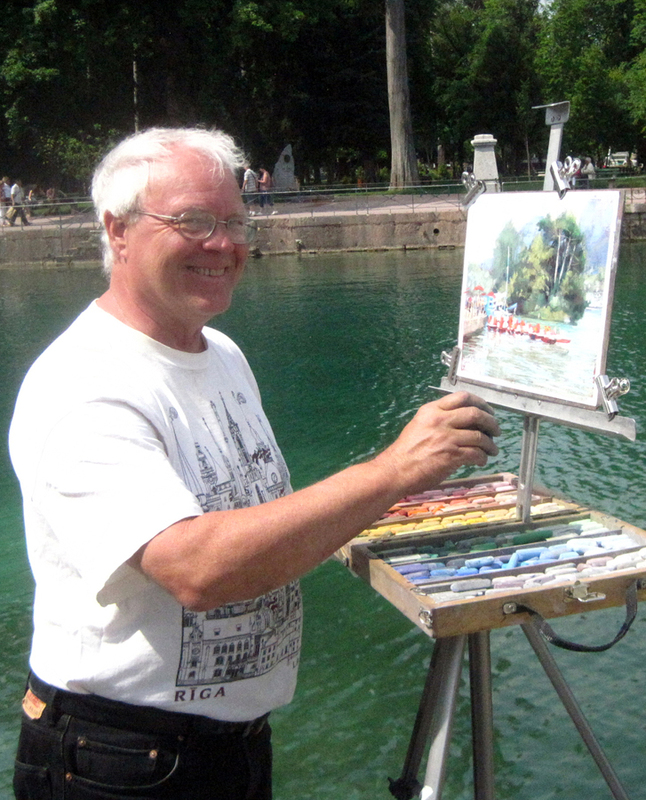 He has painted en plein air in India with his friend artist Debra Joyce Dawson on three extended trips. The last, in 2009, included a day at Adobe headquarters in Delhi teaching the Illustrator team the basics of plein air painting. Their painting trips to India & Bhutan led to an exhibition at the Richmond Art Museum (Indiana) in 2010. Ray paints in Europe every year, & in 2013 was appointed Artist in Residence in Dinan, France for the month of June. Ray's art was the subject of a feature article in Pastel Journal (Oct 2010) & was selected for the program book cover illustration at the 2011 IAPS convention. 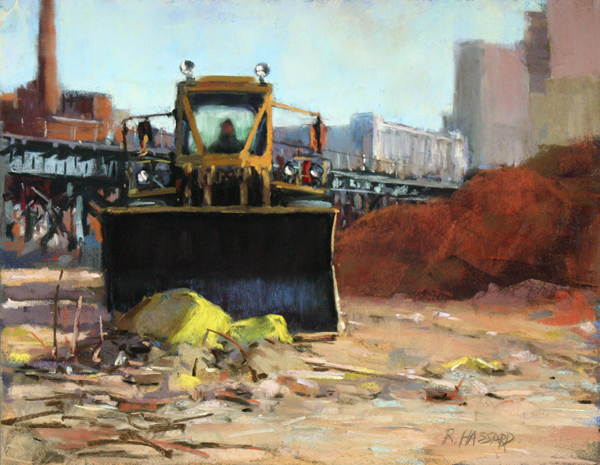 He was featured in Plein Air Magazine (Oct 2013) and again in Pastel Journal (March 2014) as winner of the Gold Medal Award in the Top 100 competition. Pastel manufacturers Great American Artworks has asked Ray to select his favorite pastels for the Ray Hassard, People & Places Assortment. 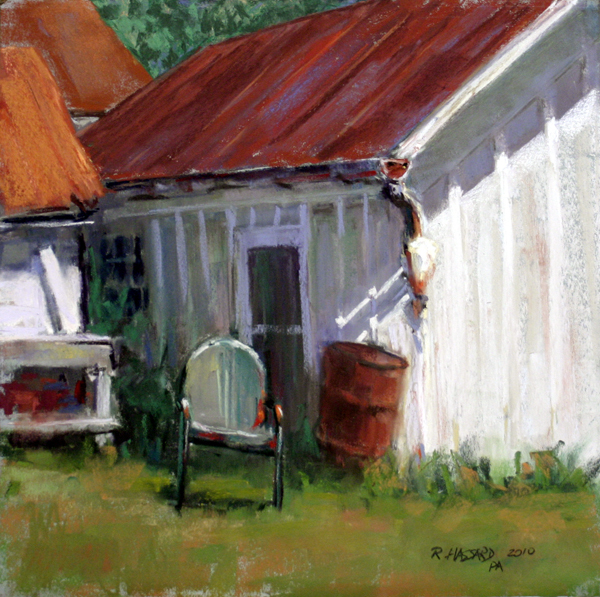 In 2015, he has been juried into the Santa Fe Plein Air Festival in New Mexico & Plein Air Easton in Maryland.